We would like to extend our gratitude to Sustainable Is Good for publishing our story in their blog. 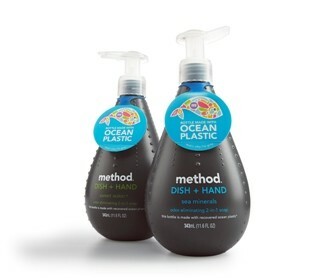 Method Home Products is a San Francisco-based company that produces mindful and ecofriendly home cleaning products. Envision Plastics is a creative leader in the reprocessing of recycled plastics. Together the companies created the world’s first plastic bottle out of recycled marine plastic pollution, collected from the North Pacific Gyre, called “Ocean Post Consumer Recycled Plastic.” One purpose of the ocean bottle was to raise awareness with hope that consumers will think about the marine issues related to single use plastics. Like the bottle, our voyages push those participating (and living vicariously) to think about their personal single use plastic footprint. The voyages also facilitate change makers to discuss solutions while on board the research vessel. Each crew member leaves the voyage with a plethora of information and experiences to bring back to their community with the intension to inspire companies and individuals to reduce their single use plastic footprint. Micro plastic pollution typically found in the North Atlantic Gyre sample. We were honored to have Method and Envision, two leaders in the field, involved in our expedition through sponsorship of one of the 16 scientific trawls that we collected. Each of the 16 trawls that we collected were plastic positive and will help us better understand plastic pollution in North Atlantic Gyre. Micro plastics dominated the samples, as usual, and we hope to raise awareness on the North Atlantic “Garbage Patch” with our research, amazing crew, and sponsors. Next time, we’d love to bring some of the Method and Envision crew on board with us. Maybe someday soon we can make a North Atlantic Gyre bottle? This way we can emphasize that plastic pollution exists in all of the world’s five gyres.